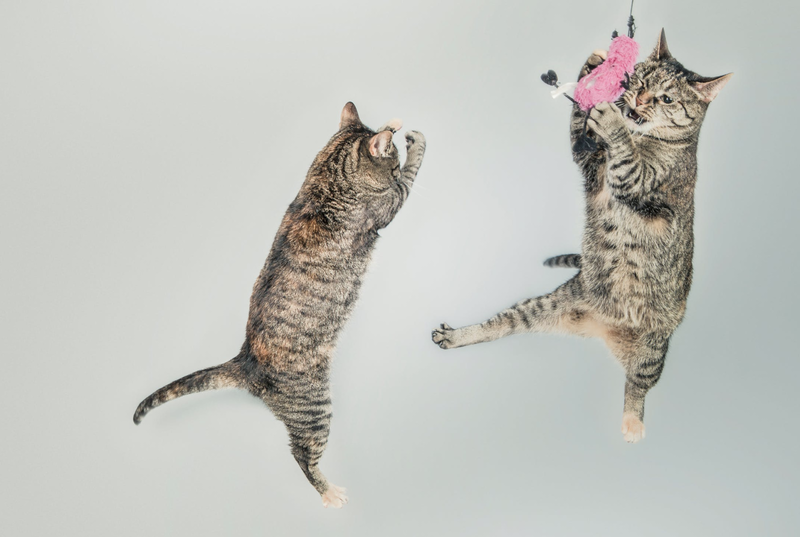 Play with your cats without toys can trigger valuable experience both you and your cat pet. Like a puppy, cat also love to play with the owner. If using toys that was known the cat usual little boring with by using new toys every time that you have enough penny for it every week allocate for your cat. Try to learn how to play with some free stuff that can be save your coin for pet and exercise yourself to be trainer without toys for your cat. Cat love to bite our hand with soft teeth and some time paw our hand that can be scratched skin but that not fatal. We have six adult cat pet on our home all of them love to play without toys but some time the cats want to go out our home and just sitting on yard to sighting and looking something new like for fresh atmosphere. on video below I play with the orange angora cat without toys on weekend you can see the cat love play and some runs inside our bedroom and find something move stuff.